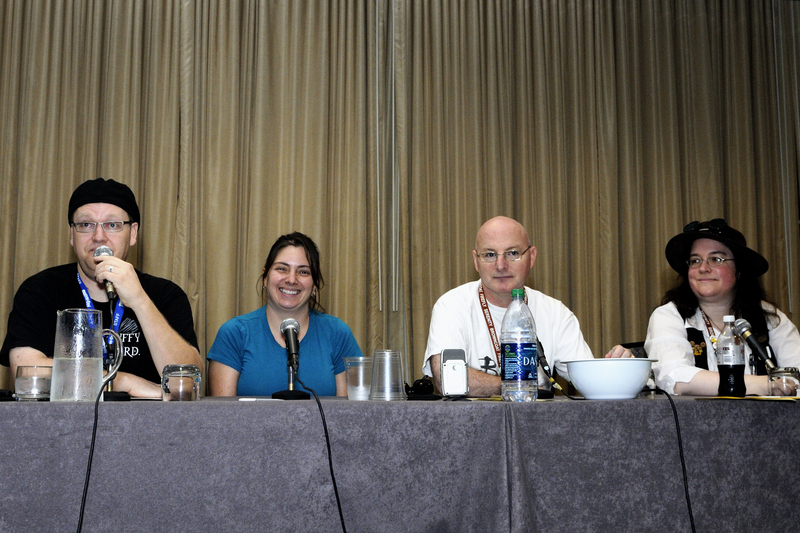 Here’s the last of the panel recordings we did at Dragon*Con 2011. This one was done as part of the Whedon Universe track. Listen in as Wayne, Carrie, Kevin and Melissa discuss some of recent happenings in the Whedonverse and Joss’ shows in general. Thanks to Steve from ScifiGeek.info for the photo from the panel. Steve takes tons of great photos at the con each year so we highly recommend that you checkout his website for lots of fun content.